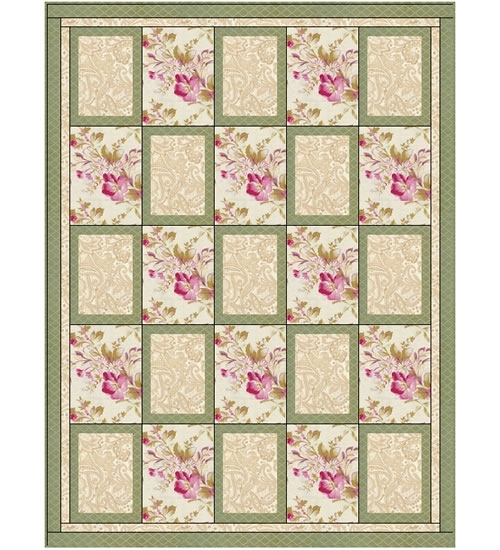 Simply take 3, one-yard cuts of fabric plus a few hours and make a beautiful quilt top with binding and borders. The pattern includes an assembly diagram and step-by-step directions that make your cutting and piecing a breeze! Finished size of quilt 43 x 63 inches (116.84 x 160.02 cm).